1. Watch Dior’s third installment of their Secret Garden film series. Filmed at Versailles and set the Depeche Mode’s “Strange Love”, the three women are a “variation on the Three Graces – goddesses of antiquity who inspired masterpieces by Raphael and Botticelli”. 2. 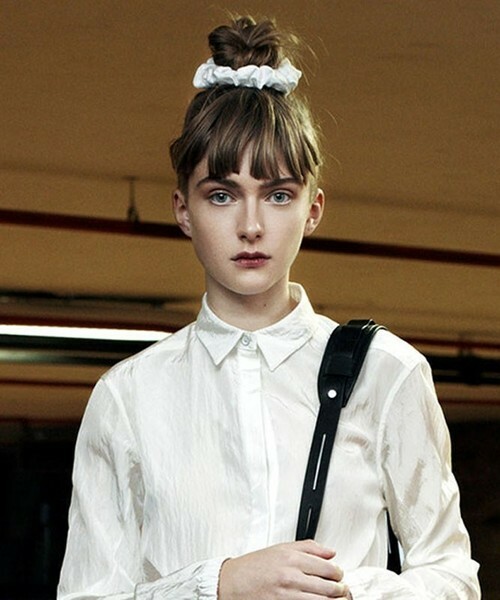 Scrunchie revival! Is the 90s style staple coming back? Another Magazine takes a look into the scrunchie’s iconic film past. 3. Dave Grohl has a new HBO series based on his Sound City documentary. Check out the series’ accompanying teaser trailer. 4. Watch Disclosure’s high-concept animated music video for “The Mechanism”. 5. Ceramacist Laurent Craste and digital agency Dpt. has an interactive installation titled Parade. Animated “shadows” dance out of a hidden projector that track movements from light sources.